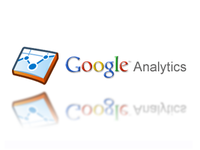 At the end of 2012, Google introduced some genuinely cool changes to its Analytics products. These were the kind of changes that get whoops from the audience when announced at the Google event in California (although in the UK the reception was predictably more… British). We’ve been investigating how and when the free version of Google Analytics uses data sampling to give you information on what’s happening on your website, and what that means for your data. My colleague Adam put together his thoughts on the matter and I wanted to share these with you here. Some call it multi-touch attribution, others call it engagement mapping. Google calls it Multi-Channel Funnels and it has to be one of the biggest talking points in online marketing measurement circles today. Whatever you want to call it, it is now live in limited pilot for some lucky Google Analytics customers.